From 21st April to 31st October, on the cruise operation days,we offer those special experiences for you. Please feel free to ask any questions or requests. Toyama Pref. Licensed Guide Interpreter will be with you for the experiences. Masuno-sushi is one of Toyama famous local cuisine, a pressed round shape sushi covered with sliced salmon trout. You can enjoy the cooking with Masuno-sushi master Mr. Wataru Kawakami, who is the 3rd successor of Kawakami Masuno-sushi maker since 1923 very near from Matsukawa river. The birth place of the masuno-sushi is just along the Matsukawa river where you will enjoy the cruise. He will show how to make it and how to open/cut/eat. you can bring back the sushi to your hotel etc, as it lasts 2 days in room temperature. You can enjoy it as light meal/lunch later. 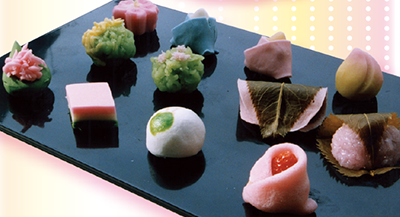 These lovely wagashi called Omogashi/Nerikiri are usually served with Matcha. 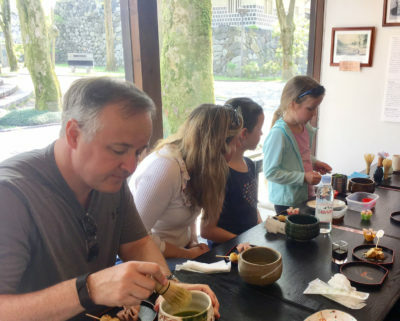 You can enjoy shaping a few piece of those beautiful wagashi with a wagashi master Mr. Kouji Kurosaki, who is the 3rd successor of Heiando 平安堂 wagashi maker in the center of Toyama City. After the cooking, you can enjoy the cruise with your wagashi and matcha. They will surely make your cruises more elegant and memorable experience. 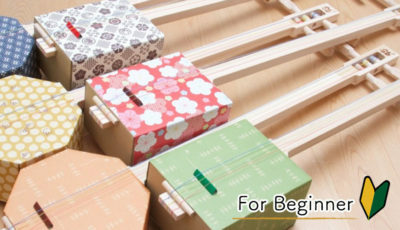 Mr. Takuya Hamatani, shamisen performer and instructer offers you basic lesson. You can enjoy appreciating its Japanese sounds and his short performance. 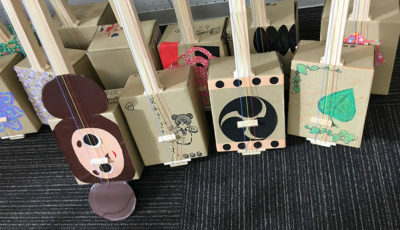 If you would love your own Shamisen, you can even enjoy building handcraft paper Shamisen instrument with him. 1. Please contact to the following e-mail address to ask us whether your master will be available on your visit day and at your time. please replace (a) to @, when you send it actually. 2. If the master is available on your day and time, Please pay with credit card in advance for your participant fee. We will let you know how to pay. Note. 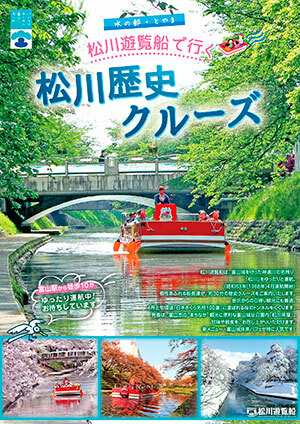 In case of inclement weather, we will return the cruise fare 1600JPY/person in cash to you directly on the day, and offer 30 minutes guide of the Mr.Rentaro Taki exhibit room and around the Toyama Castle Park. Please use it as a banquet hall! © 富山観光遊覧船㈱ All Rights Reserved.